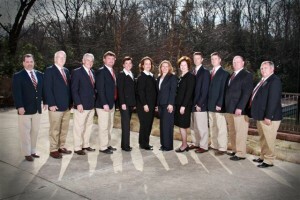 The most important factor in determining the success of your real estate auction is selecting the right auction company! Clark Maples Realty & Auction Co. is a well established and reputable real estate and auction firm based in Murfreesboro, TN. We have been in business for over 40 years and market a wide range of property including single family home real estate auctions, estate auctions, land auctions, farm auctions, bank owned property auctions, and equipment auctions. We will come to your property and do an analysis for no charge or obligation to determine if the auction method is the best option for you. We will do the best job possible to sell your property in a professional manner and have a great time doing it. Once we book your real estate auction you can sit back, relax, and let us take care of the rest! We invite you to explore our website and to contact us for any questions you may have.